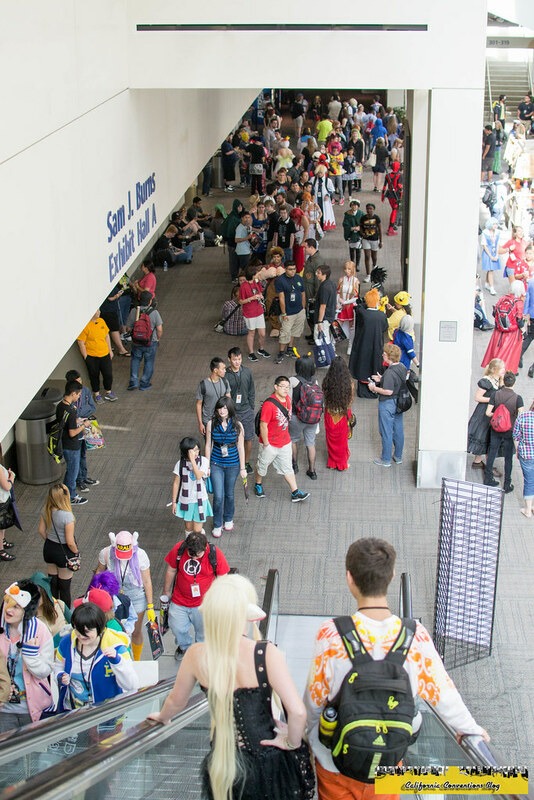 Like most anime conventions, the morning of Day One consists of people arriving, checking in, and mingling about waiting for the Dealers Hall to open, for that first panel, or one of the very early cosplay gatherings - which I was shocked that it was Kill La Kill. Not a primetime afternoon slot? Interesting. 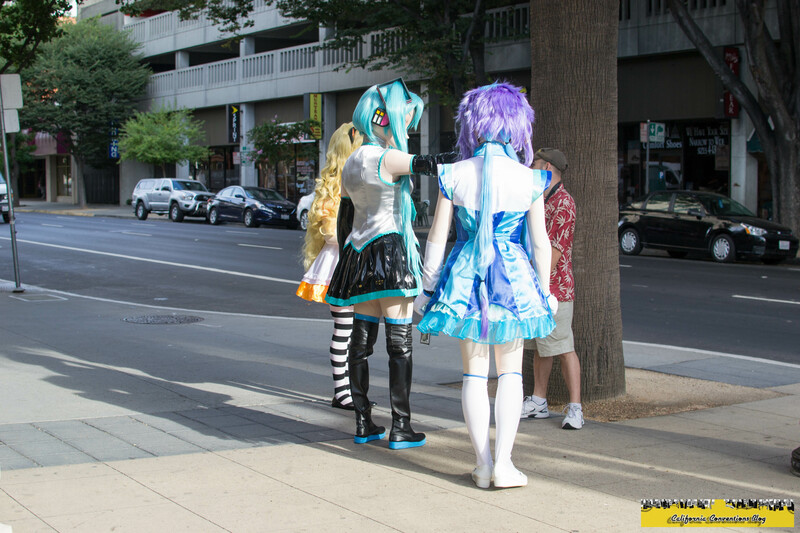 These anime kigurumis, also known as "Animegao," were popular throughout the weekend even appearing on local TV. The front area near Dealers Hall and Main Events filling up at 10am. The sign at the 7-Eleven across the street. 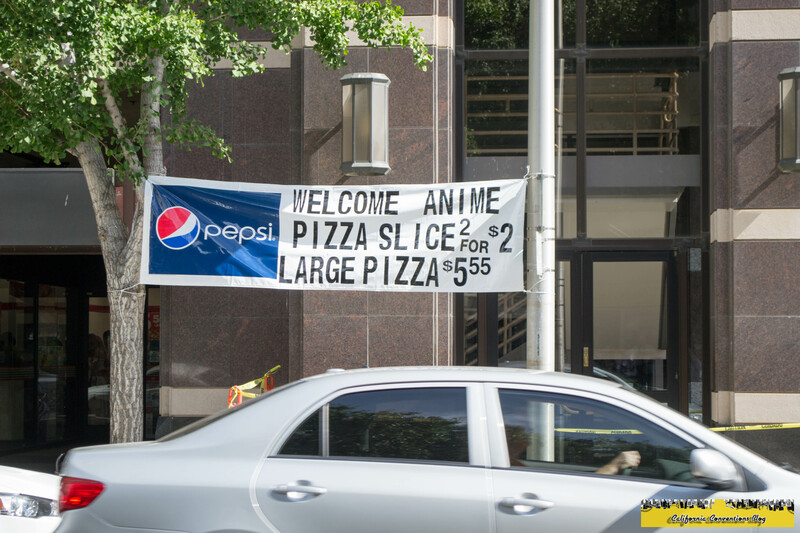 "Welcome anime, we have pizza!" 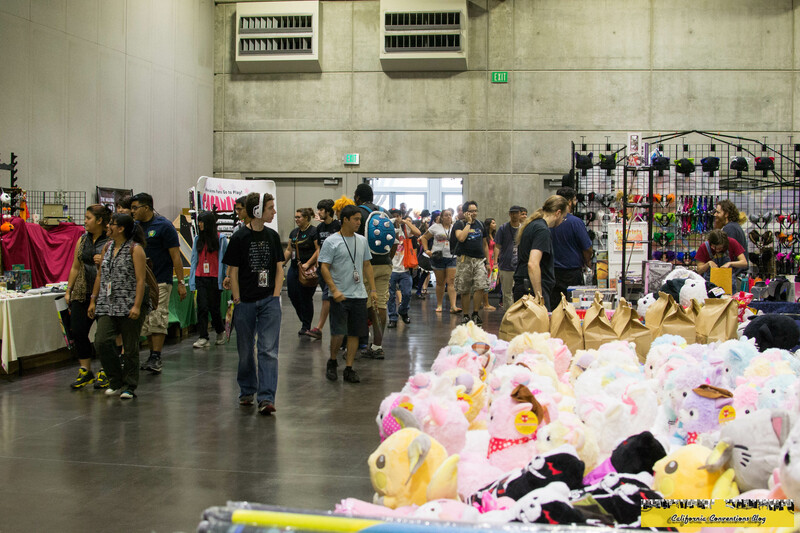 The Dealers Hall opening up to all attendees at noon. Most of my Friday consisted of checking out the new areas and hanging around the press area to see if all my associates had checked in. 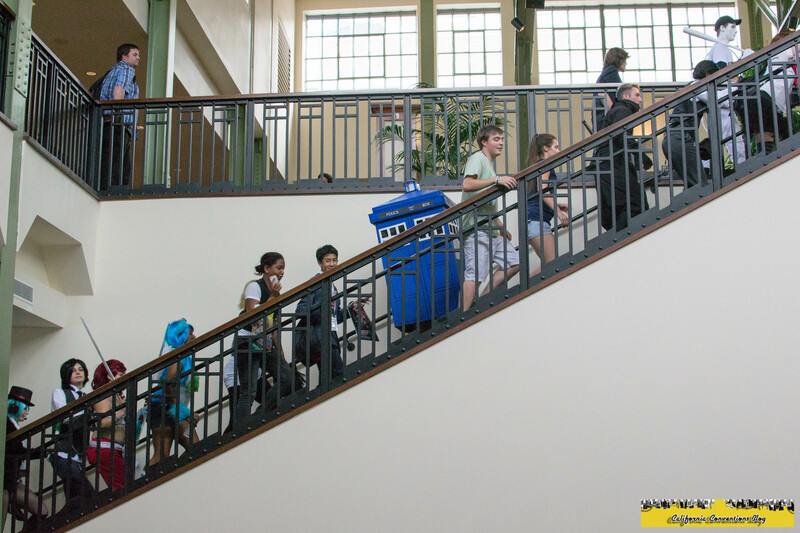 The biggest addition to me was the usage of the Sacramento Community Center Theatre, home to such Broadway musicals like Wicked and The Lion King. 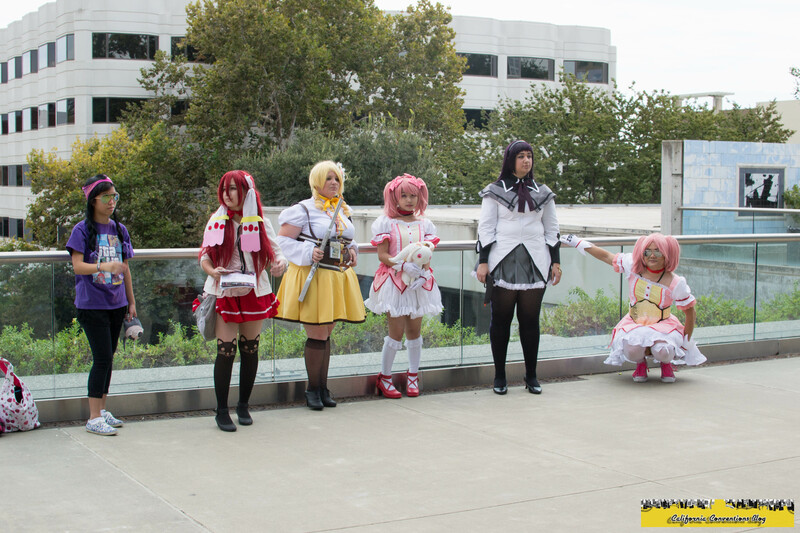 This reminded me of when Fanime used the San Jose Center for the Performing Arts. 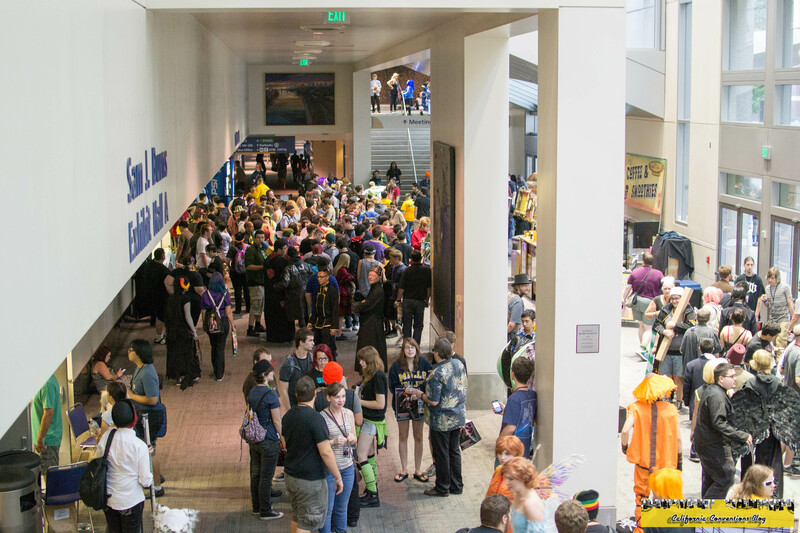 It seems that this is part of the long-term plan for both SacAnime and the City of Sacramento. Maybe one day they'll use the Memorial Auditorium for Masquerade. 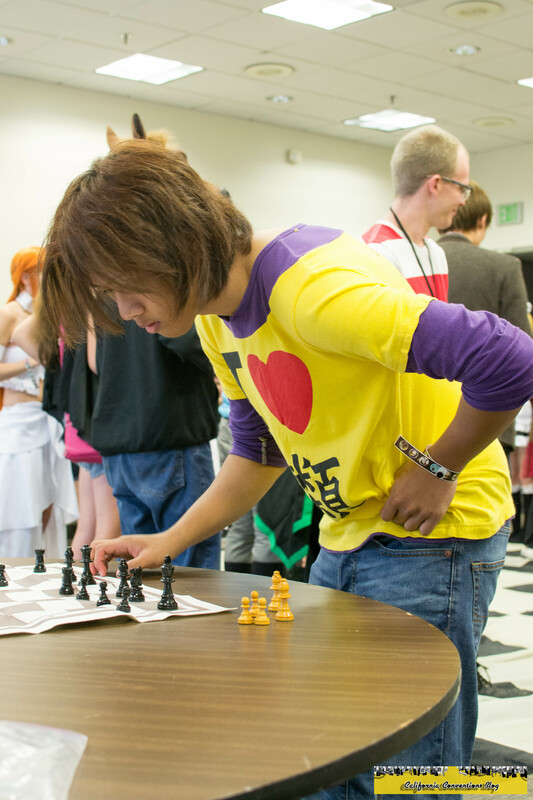 A Sora cosplayer from No Game No Life playing cosplay chess from the 12pm session. I jumped into the 3pm session of cosplay chess, signing my name as "King Stupei" as I was the King for that game. Nate was with me as Yosuke as one of the Knights. Both played a really good game until the white side (the side I was on) was losing all the good pieces and we hit checkmate; the other player noticed all the traps that he was trying to set but couldn't because of said missing special pieces. The rest of the day consisted of hanging out like before, taking a few photos with people as Junpei, and watching this conga line. Starting to get a bit crowded around 6pm. Later in the evening, me, Nate, and Ray had an opportunity to interview Christina Vee, Christine Cabanos, and Danielle McRae. As night approached, most of us were wondering were to eat especially since this was Nate's only day here at SacAnime. The group I was with had their eyes set on Bento Box but after seeing a long wait time we went down a block to the shockingly not-so-busy Squeeze Inn. I was the only one who had been to this Sacramento staple (seeing that I live here) before and all of them where here for a meal of a lifetime as indicated by Nate's Facebook status. The night saw us visiting more friends and checking out some of the night events before heading out shortly before midnight. 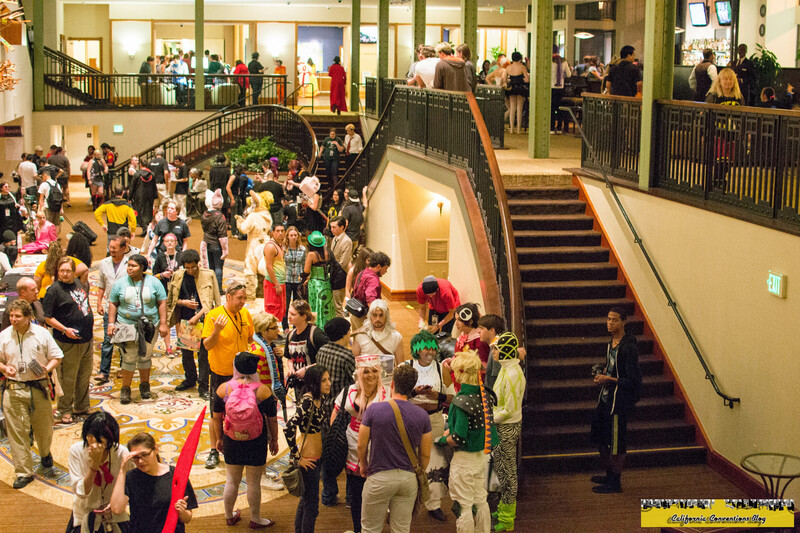 The bottom floor of the Sheraton Grand filling up as night falls on Day One.